Well after what was a very long and cold winter for us in Edmonton, spring seems to finally be here and we’re so excited about it! 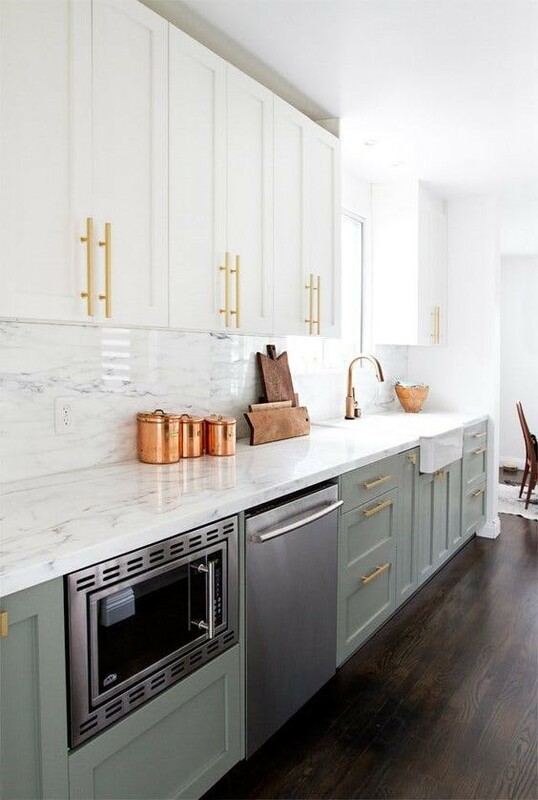 In addition to dusting off the spring footwear and breaking out the lighter jackets, spring is also the perfect time to deep clean your kitchen and freshen up your space for the new season. 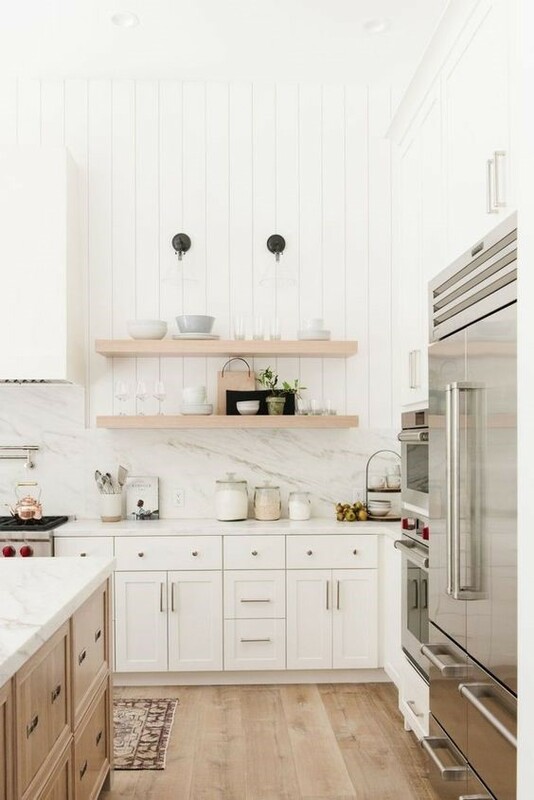 Giving your kitchen a deep spring clean is the perfect time to get to any grime and grit that may have collected after the cooler months of hibernating indoors but it’s also a great time to declutter, reorganize and tackle any problem areas. Today we’re sharing a spring cleaning checklist for your kitchen to help make the busiest room in the house sparkle and shine for the springtime! If you want to seriously tackle your kitchen and give it a great deep clean there are a few ways to make the job easier. Step one is to prep your kitchen for the deep clean. Begin with an empty sink, empty dishwasher and clear space. Remove any clutter, decor or small appliances from your countertops, remove all dish cloths, tea towels or runners from the space and take any photos or calendars off the fridge. Gather together your cleaning supplies and pull out a box for items to donate and a bag for garbage and recycling. Once you’re ready to begin, we suggest separating your kitchen into ‘zones’ to avoid getting overwhelmed. We like to work from the inside out, beginning with the organization and decluttering first, then working our way outside to the cleaning. 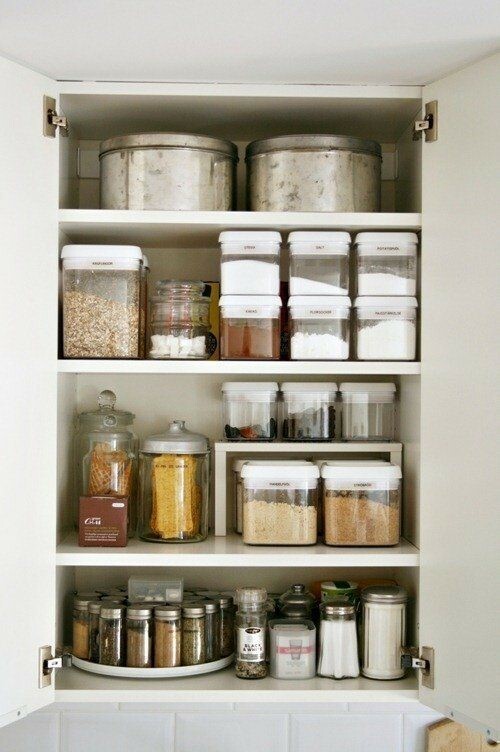 We recommend dividing the kitchen into 3 categories – your drawers, cabinets and pantry. In each of these zones, go through all of your drawers or cupboards and empty them completely. Think of it like how Marie Kondo suggests going through your clothes. Pull each item out of all of your drawers to begin with, separate your garbage, recycling, keep and donate piles then organize and put away accordingly. Do this for your cupboards and your pantry too. It’s amazing the items and clutter we accumulate over time. You may not even realize you have three can openers until you see them all together. If you have multiples, consider donating them. If you have expired food, it’s time to throw it away. Donate any unused items and be realistic about what you want to keep. 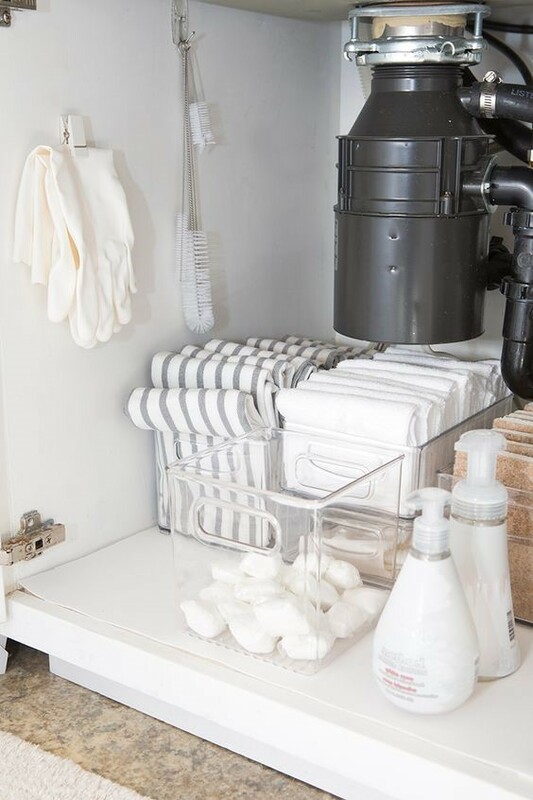 When you have all of your drawers (or cupboards and pantry) empty, give them a good wipe down and vacuum so that when you put the items you’re keeping back in, they’re going into a newly cleaned space. 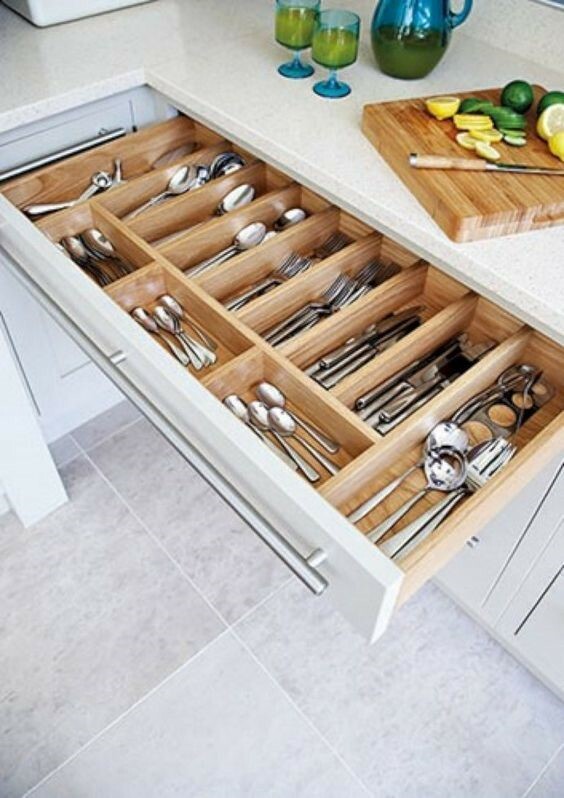 This is also the perfect time to note if you need to replace any drawer liners or cutlery organizers (for example). Once you’ve done this for each of your ‘zones’ (drawers, cupboards and pantry) and your recycling pile, garbage pile and donate pile are put away and everything you’re keeping is back in its place it’s time to do the deep clean. Work from the top down dusting the tops of your cupboards, wiping the fronts of your cabinets, getting your hood fan, backsplash, countertop and sink and faucet a good scrub. They tend to accumulate dust/grime over time. Wipe your kitchen hardware and appliance fronts down well as they too get dirty with finger prints and food. Now’s also a great time to clean your oven, run a cleaning cycle through your dishwasher, wipe down the inside of your microwave and deep clean your fridge too. When you get to the floor wipe your toe kicks, clean your floor and then you’re ready to get your kitchen back in order! Put out freshly cleaned cloths and tea towels, a clean runner or mat if you have one and give your small appliances and decorative items a dust before putting back on your countertop/shelves. A good kitchen deep clean may take a few hours but it’s well worth it to keeping up the appearance of your kitchen. It feels great to cook and work in a well maintained space and helps keep up the value and the quality of the millwork and finishes in your kitchen. A kitchen is an investment so it’s worth keeping it up with a few deep cleans a couple of times a year.